Police say the 32-year-old has been seen in several different locations throughout Kalamazoo and Van Buren counties. 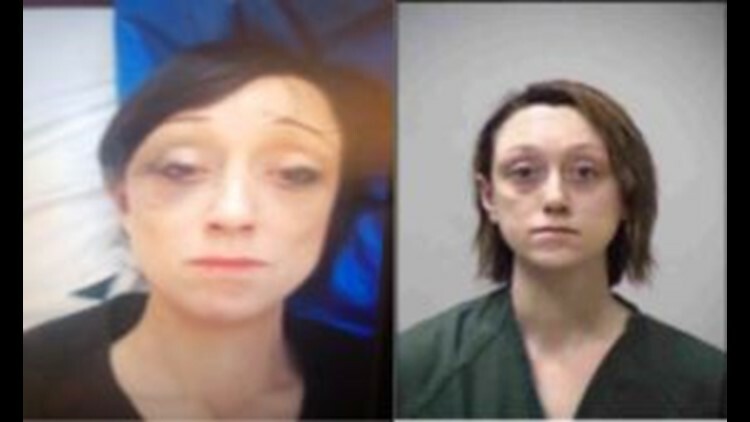 KALAMAZOO, Mich. — UPDATE: Detectives with the Kalamazoo Department of Public Safety were able to track down Melissa Morgan in Kalamazoo last week. She was located on Feb. 8, according to a release. Anyone with more information about the fire is asked to call 269-488-9811 or Silent Observer at 269-343-2100. A person of interest has been named in a fatal fire in Kalamazoo. According to a release from the Kalamazoo Department of Public Safety, the fire happened around 2:15 a.m. on Sunday, Feb. 3 at a home on Wallace Avenue. The department of public safety is asking for the public's assistance in locating Melissa Sue Morgan. Police say the 32-year-old woman has been spotted in several different locations throughout Kalamazoo and Van Buren counties. If you see Morgan, please call the police department at 488-891, or report the sighting to Silent Observer at 343-2100 or online. The Kalamazoo Department of Public Safety positively identified the victim of the fire on Monday, Feb. 4 as 31-year-old Zachariah Hayes. Investigators initially reported that heavy hoarding and a roof collapse were factors in the deadly fire.